With their shows about home staging, the HGTV and TLC television networks have done wonders with educating consumers about the whys and hows of getting their homes “market ready.” As a Realtor® and an ASP® (Accredited Staging Professional), one of the services I offer to my clients is an objective evaluation of their home, and what needs to be done to “position” or stage it. The burning question for Sellers is, “Why should I stage my home?” Yes, I know…your furniture has always been placed like this and it’s worked just fine for you…why should you change it? Can’t Buyers see how comfy your home is? The straight answer is: No. Buyers see how comfy it is for you. In fact, only 5% of consumers can actually visualize beyond what they walk into, beyond your treasures, beyond your well-intentioned do-it-yourself projects, beyond your family photo shrine. Our goal, from the moment they first view your home, whether online or in real time, is to make them see how comfy it is for them. We want them to walk in and see themselves living in it, working in it, building their lives in it. We can achieve that goal by positioning your home to basically eliminate the feeling that you even live there—and that’s only going to happen if you are truly ready to sell, and willing to live maybe a little a little outside of your comfort zone, for a temporary period of time. Staging your home means more dollars in your pocket, in a shorter amount of time. By positioning your home, you can turbo boost your sales time by 30-50% faster than non-staged homes, in most markets. There are subliminal messages to the Buyers when your home is staged: that it is a well-maintained, well cared for home, that it’s worth more, and that you are ready to move. On the other hand, a home that is cluttered or in disarray screams out to the Buyers that there is probably deferred maintenance going on under all that stuff, that your home is not comparable to the turn-key home that’s listed for the same price, and that, even if they did bring you a cash offer, it would take you FOR.EVER. to get moved out. Which message do you want potential Buyers to receive from your home? The fact is, we only get one chance to make a good impression, and that happens before a Buyer even steps foot through your front door—it happens in the photos that your Listing Broker puts online. Remember, we are trained professionals at selling real estate. So when we suggest to you the changes we think you need to make to your property to make it more saleable, whether it’s removing furniture, eliminating clutter, removing personal photos, or eliminating pet odors, we hope you’ll listen to us and act on it. We want to believe you are sincere about wanting to sell your property…because we are sincere about wanting to help you sell it. 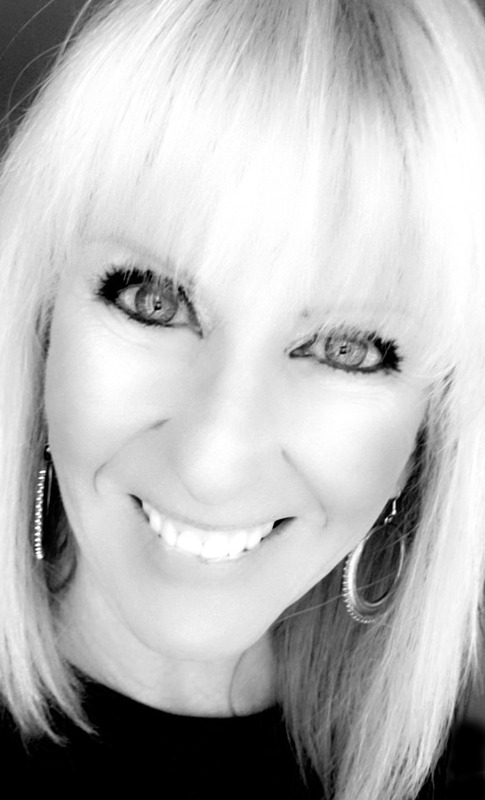 Vickie Jackson has been a REALTOR® with Coldwell Banker Kline & Associates since 2006, and holds the designations of CRS®, GRI®, SRES®, AWHD®, ASP®, and CNE®. Additionally, Vickie was also a Resident Consultant and Buyers’ Broker at Stillwaters Estates Pre-Retirement/Retirement Community, where she enjoyed helping the 50+ crowd there find their next–- or even their first-– home. As an ASP® (Accredited Staging Professional) home staging consultant, I am empathetic to how overwhelming the idea of selling a home, and then moving, can be for some of my ageing (or even not-so-ageing) clients. You’ve accumulated a lifetime of stuff, and are now faced with deciding which treasures to keep and which to eliminate, as you downsize to a smaller home. Preparing your home for sale can be stressful, but if you take baby-steps, you can minimize the amount of stress you put on yourself, depending on your personal timeframe for getting your home sold. From here forward, I’ll refer to your home as your “property” or “house,” because I really want you to stop thinking of it as your “home,” while you’re getting it ready to put on the market. If you can derail yourself from the “but this is my home” train of thought, the preparation-for-sale process will be a lot easier on you. Staging a house involves more than just rearranging furnishings, because you are creating the “total package” for your potential Buyers. That said, here are some basic steps for positioning your house for sale. 1. Pack Up Your Stuff. That’s right. Get rid of it. Now’s the time to pass on family heirlooms, donate to charitable organizations, have that garage sale, and decide what’s going with you to your next home. If you haven’t used it in the past year, ditch it. You may even have to rent a storage unit temporarily to empty out your house. Your goal is to get your house sold and to move, right? Since you’re going to have to pack anyway, you might as well do it now. 2. Clear Away Clutter & De-Personalize. See Step #1. Tchotchkes distract the Buyer from actually “seeing” your house. You don’t need to display all 200 pieces of your salt & pepper shaker collection, and those porcelain dolls may be your babies, but truthfully, a roomful of them staring as a Buyer walks into the room tends to creep people out. You want Buyers looking at your house, not your family photos and personal effects. I recommend my Sellers pack away their valuable collections and all family photos, and save them for their next home. If you minimize what you display on surfaces, and create “white space”—space that isn’t filled with accessories or furniture-- your house will give the impression of being larger than it is. 3. Rearrange Your Furnishings & Paint. Depending on the type of paint you use, prices can range anywhere from $12-$50 per gallon—that’s an inexpensive fix to get a big return on your investment. Use neutral colors (off-whites, tans), and remember to include the trim and doors. Consider hiring a painting contractor if you’re not physically capable of doing the painting yourself. Professional painting can cost anywhere from $200 for one room, to $1500 for the entire interior, and depending on the square footage. Again, you’ve just made your house move-in ready for that Buyer, and negotiated a better price for yourself. Try looking at your house with “new eyes.” My favorite part about helping my clients stage their houses is to totally rearrange furnishings, take pieces from their typical placement, and use them in entirely different parts of the house. If this isn’t your forte, ask your Broker if they can help you, or refer you to someone who offers that service. No matter how clean and tidy your house looks, if there’s an unpleasant odor, that is what Buyers will remember. If they’re looking at several houses that same day, they will remember “The Stinky House.” If you’re a smoker or a pet owner, there are companies that can come in and deodorize your house. And just as negative odors can affect Buyers, so can too much of a good thing. Keep scented candles or wax warmers to a minimum, so that there is a hint of scent, but not so that it appears you’re covering up other odors. Mold and mildew are big red flags to Buyers, so make sure your bathroom fixtures, shower & window tracks, walls, & ceilings are mold-free. Have your carpets professionally cleaned, and really do a deep cleaning of all surfaces including appliances, counters, furnishings, and floorings. Remember to look up for cobwebs. Place warm-toned light bulbs in your fixtures. And if you can’t do the spruce-up work yourself, hire someone who can. Curb appeal applies to everything you can see when the Buyer drives up to your property, including exterior paint, landscaping, fencing, and walkways, so make sure your house says, “Welcome Home!” Depending on the season, invest in some flowers (in-ground or placed in pots or planters), and if it’s winter, remove dead foliage. Lawns, trees, and shrubs should be trimmed up. Pressure washing your sidewalks and your house can brighten everything up and eliminates the “there’s work to do” feeling for Buyers. By investing your time, elbow grease, and maybe a little bit of money, staging your house can give you an edge over your non-staged competitors, and increase your property’s salability by 30-50%, reduce your need for negotiating repairs, and put more money back into your pocket. Vickie Jackson has been a REALTOR® with Coldwell Banker Kline & Associates since 2006, and holds the designations of GRI®, CRS®, SRES®, AWHD®, CNE®, and ASP®. Additionally, Vickie was a Resident Consultant and Buyers’ Broker at Stillwaters Estates Pre-Retirement/Retirement Community, where she enjoyed helping the 50+ crowd there find their next–- or even their first-– home.